This photo was taken in the abaonded and old mining town of Ophir. 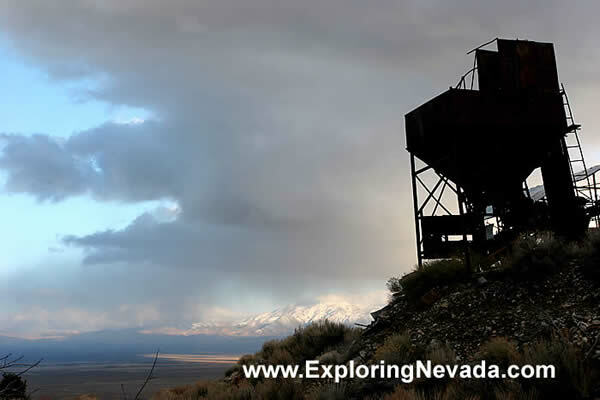 The structure is part of an old mining rig. A number of buildings - some still standing and others not - are still visible in Ophir.